Please review this month's LiveWire newsletter. We hope you enjoy the local and national industry updates. The ECA has enhanced its social media presence. We also invite to join us on Facebook and LinkedIn! The Electrical Contractors' Association of City of Chicago (ECA) held its October Membership Meeting on Wednesday, October 10, 2018 at Smith & Wollenky's in Chicago. The program featured legislative updates from James Farrell, NECA Government Affairs Manager and Jessica Newbold, IMSCA Executive Director. 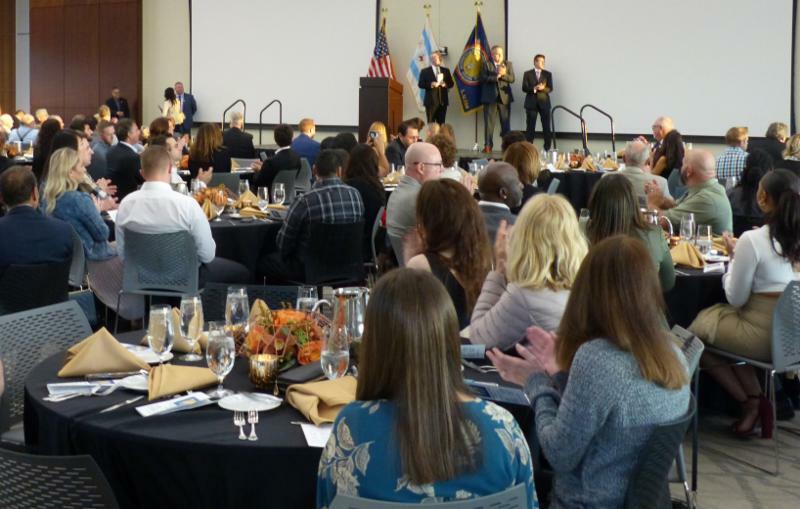 The IBEW - NECA Technical Institute (INTECH) held the Apprentice Graduation Ceremony on September 22, 2018 at the newly renovated school in Alsip, Illinois. Pictured above are the Apprentices being recognized at the ceremony. 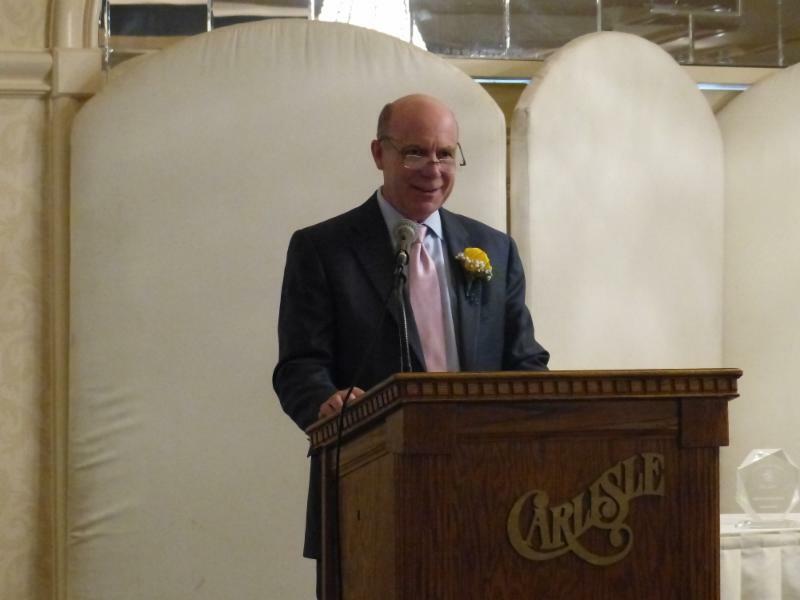 The Electric Association Membership Awards Dinner was held on Thursday, October 18, 2018, at the Carlisle Distinct Banquets in Lombard, IL.ECA member, Ken Bauwens, EIT Management Chairman, Jamerson & Bauwens Electrical Contractors, Inc. received the "Hall of Fame" Award. Hall of Fame inductions are designed to honor outstanding individuals who have played a key role in the development and nurturing of the electrical industry and who have played a creative role in Chicagoland. This award recognizes individuals whose innovation, hard work, dedication, and vision have fostered industrial growth and social progress. We congratulate Ken and all of the other awardees. The 2018 Electric Association Membership Award Recipients are: Gold Medal Award - Thomas O'Gara, Remke Industries, Hall of Fame Inductions: Ken Bauwens, Jamerson & Bauwens Electrical Contractors, Jim Kingsley, Callas-Kingsley Electrical Sales and Steven Monforton, Environmental Systems Design. Pictured above is Ken Bauwens, Jamerson & Bauwens Electrical Contractors, Inc. as he addressed the attendees. 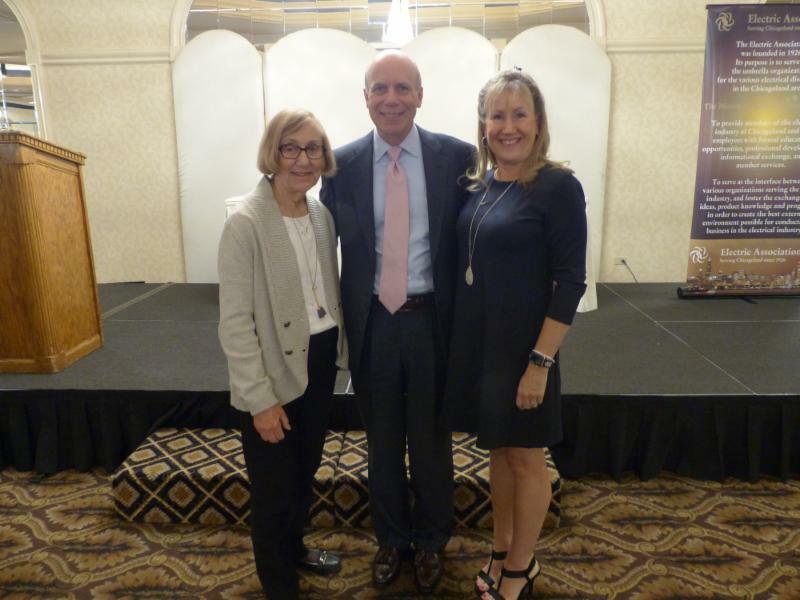 Rachel Bauwens, Ken Bauwens and Karen Bauwens just before Ken received the "Hall of Fame" Award. CISCO is now accepting applications for its 2019 Scholarship Program. The three different categories enable a wider range of students of both union building trade members and union contractor employees to apply. CISCO offers (3), four-year scholarships to high school seniors; (2), two-year awards for seniors planning on attending a community college; and (2), two-year continuing education awards to union members or contractor employees. All applications and accompanying documents must be postmarked by February 22, 2019. For more details,click here. To download the applications, click on the following category options: 1)Four-Year for Seniors; 2)Two-Year Community College for Seniors; 3)Two-Year Continuing Education. CISCO'S Project of the Year Award is kicking off its 14th year of accepting applications for some of the best construction projects of the past 18 months. The award gives general contractors, owners, engineers and architects a chance to submit projects in six different categories that include the areas of new construction, renovation/rehabilitation, residential construction and infrastructure. The deadline for applications is 5:00 p.m. Wednesday, Dec. 5, 2018.For more information, contact Gary Karafiat, Director of Communications & Public Affairs at 630.472.9411 or via email: gary@cisco.org. To download the application form, click here. The NECA Convention & Trade Show was held in historic Philadelphia on September 29 - October 2, 2018. The Convention was host to many activities and celebrations. President Donald Trump addressed the Convention attendees. 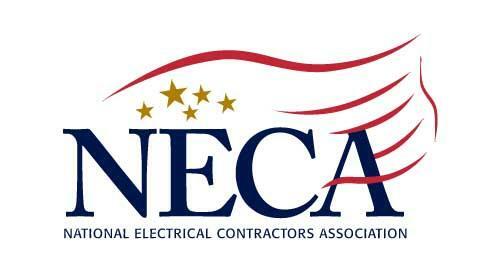 The ECA Research and Education Committee is proud to sponsor one more program for the Fall: "Benefits of NECA" is on November 15th. Please click on the "Learn More" tab below for information and registration information. The ECA Research and Education Committee sponsored a seminar called, "Are You a Project Manager or a Project Witness?" that was held on Wednesday, October 17, 2018 at the Drake Oak Brook Hotel, Oak Brook, Illinois. 40 were registered. The program was most informative as thecourse focused on process improvement and management and leadership techniques to provide participants with the foundation of management expertise they need to efficiently direct the entire project life cycle, from start-up to close-out. We wish to thank Norb Slowikowski for his efforts! Pictured above is Norb Slowikowski, Slowikowski & Associates, Inc.
as he began the program. as he addressed the class. The ECA Young Professionals Committee held its most recent ECA Young Professionals Group outing on October 24, 2018 at Topgolf in Wood Dale, IL. Highlights of the program included guest speakers: Brian Ekstrom, Regional Manager, PlanGridand Ken Phelps, Technical Specialist, BlueBeam. Details for a YP Conference is being finalized. That program is scheduled for February 21 - 22, 2019. Pictured above is the opening of the session. 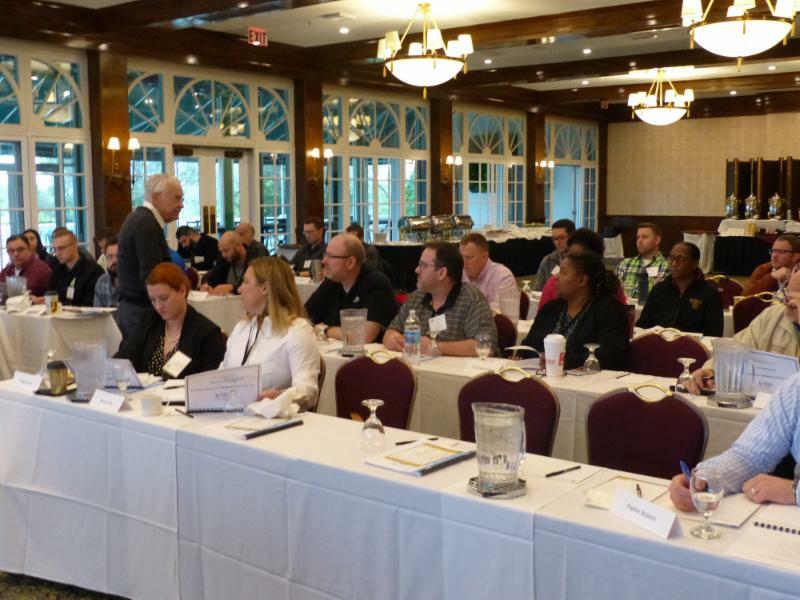 NECA's Executive Management Institute (EMI) has been scheduled for January 23 - 27, 2019 in Charleston, South Carolina. 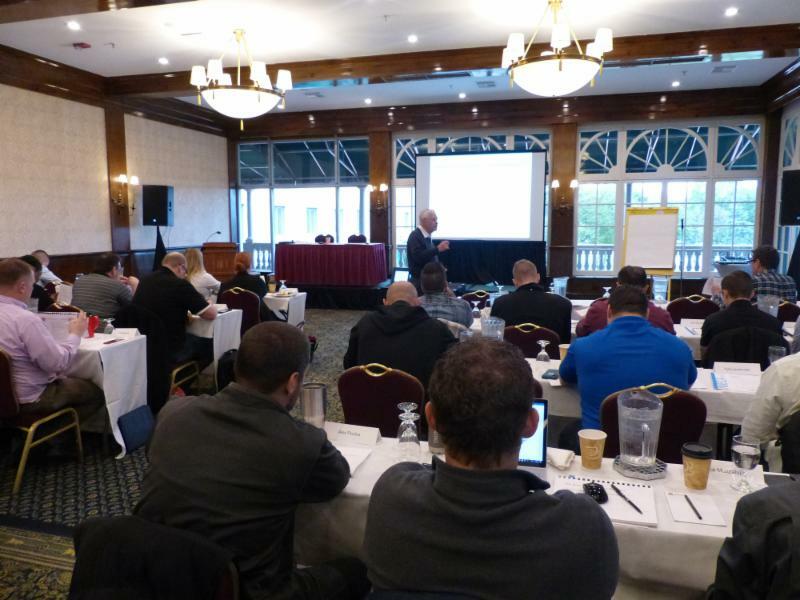 The program is designed for senior executives in the electrical contracting industry and provides state-of-the-art management concepts and analytical tools that build on existing knowledge of electrical contracting businesses and the industry to increase the value and effectiveness of electrical contracting firms. Please click on the "Learn More" link for Registration information. The ECA will hold its Holiday Luncheon on Wednesday, December 12, 2018 from 11:00 am to 3:00 pm at the Chicago Athletic Association Hotel, 12 S. Michigan in Chicago. Valet Parking will be provided. This "magical" event is open to all ECA members firms / signatory NECA members and special guests! Please click on the link below for information regarding the newly renovated Chicago Athletic Association Hotel! 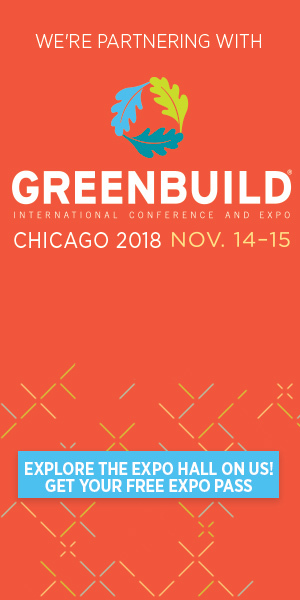 Registration is now OPEN for the 2018 Greenbuild Conference and Expo this November in Chicago! Check out all the education sessions, summits, and toursand then register for the sessions and events you want today. Buddy Guy, Blues Guitar Legend is the headliner. Greenbuild International Conference and Expo is the face to face experience for sustainability in the built environment. It's for professionals in architecture, construction, engineering, planning, and interior design who depend on thoughtful and ethical solutions which promote wellness and resiliency in construction and urban development. Sustainability is the foundation of Greenbuild. Greenbuild is the only event genuinely dedicated to sustainability in the built environment, from the sessions we present to the products on the show floor to the way the event is produced. By participating with Greenbuild, you can return to the field armed with the education and discoveries that will empower your decisions, influence your actions, and inspire your dialogue-prompting you to share sustainability with others. The theme for Greenbuild 2018 is Human By Nature. ECA Chicago Members know as well as anyone - green building isn't a temporary fad, and it's more than a movement; it's a responsibility. We all have a hand in it. Let's commit to a brighter future - one where sustainable buildings and environments are accessible to everyone. Immerse yourself in three days of education, or explore the floor, courtesy of ECA Chicago. Registration is available for Greenbuild - the in-person experience for sustainability in the built environment. The event is this November at McCormick Place. Learn more about why you should attend, and then register for a four-day or three-day conference pass. Or, explore the floor, courtesy of ECA Chicago! Use code REGIONALGB18L2 at registration. The expo hall is open from 10 a.m. to 6 p.m. on both Wednesday, November 14, and Thursday, November 15. Please click on the "Learn More" link for registration information. For a listing of coursework available through the Construction Safety Council (CSC) for the month of November 2018, please click on the link:www.buildsafe.org.